D E S I G N I N G • E V E R Y T H I N G ! Sebastian designed the “flashpillow” when thinking of those midnight trips to various parts of the house when everything is pitch-black dark. 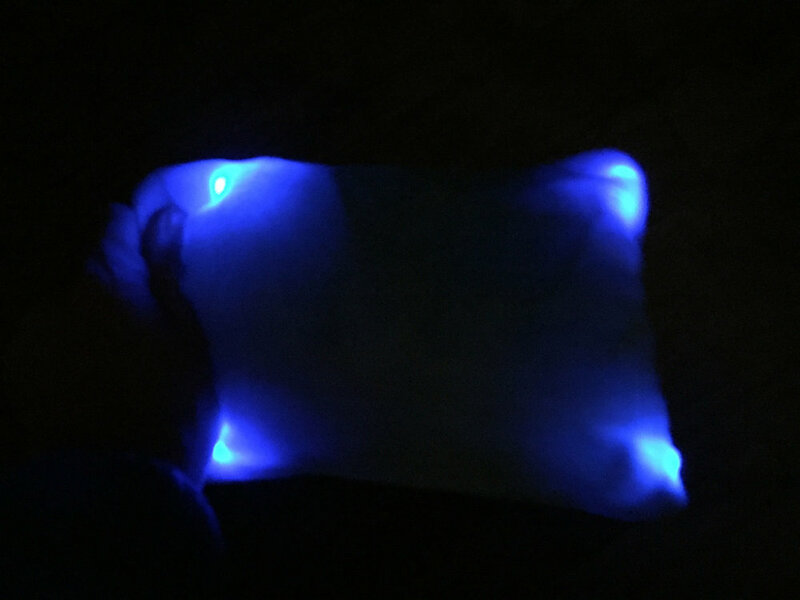 This pillow can be used for children, adults and anyone who is scared of the dark! With the flashpillow, it will never be completely dark again. Sebastian took inspiration from two main things for this project: his tendency to sleepwalk and his other tendency to walk into things. Sebastian usually sleepwalks when it’s pitch black and it is as if he never wakes up. With the flashpillow, he always has light while he is sleeping so he never wakes up to pitch black darkness or bad nightmares anymore. Also, when Sebastian wakes up and gets out of bed, he tends to walk into things or hit himself on the corners of bed. This obviously causes pain and leads him to lose sleep, so he wanted to create something to avoid that. The flash pillow emits a smooth, soothing light that actually nurses him to sleep and contains a sensor that turns on and off when you place your head on the pillow.